Pioneer Bank in Alamogordo is proud of our military customers. 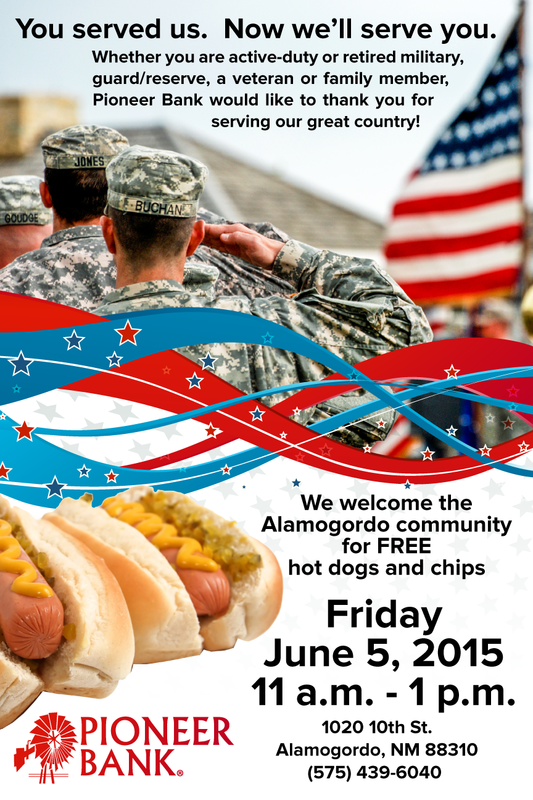 We invite the Alamogordo community to join us for FREE hot dogs and chips Friday, June 5th from 11 a.m. – 1 p.m. Help us thank our military for their service! Tags: afb, alamogordo, holloman, military, service, thank you. Bookmark the permalink. Previous post ← Save a Life!